At the 2018 Los Angeles Auto Show today, Kia Motors America (KMA) introduced a better way to roll with the world debut of the all-new 2020 Soul, a completely new yet familiar version of Kia's beloved and award-winning urban runabout. Taking everything that helped popularize the quirky, unconventionally styled subcompact, Kia Motors poured more of its soul into nearly every inch of the vehicle, resulting in a third-generation that continues to transcend unmatched style, peppy performance, thrilling technology, and urban practicality. "The Soul has been a massive success since its introduction to the U.S. market, blowing its (now defunct) rivals out of the water and establishing itself as an automotive icon with its fun-loving character and eccentric style," said Orth Hedrick, executive director of Car Planning and Telematics. "Even with an entirely new generation of competitors now crowding the marketplace, we are confident the all-new Soul will once again prove to be a tough contender given its unparalleled style and impressive level of invigorating technology and customization options." Proving the point that "there is a Soul for everyone," the normally aspirated and optionally turbocharged Soul is available in six trim levels – LX, S, X-Line, GT-Line, EX, "EX Designer Collection" – plus the all-new Soul EV (outlined in a separate press release). Pricing will be available closer to expected on-sale date in the first half of next year. Music has been an overarching theme for Soul since its inception, and it's no different this round.. For the third generation, designers and engineers turned up the volume on the interior. Drawing inspiration from the "emotional visualization of sound," the Soul's interior space is adorned with shapes and textures that reflect acoustic inspired elements to create a full sensory experience. Despite its compact footprint, the Soul's boxy dimensions continue to offer up a surprising amount of cargo and passenger space. Slightly longer than before, the 2020 Soul also features more smartly designed packaging in an effort to make accessibility even easier. 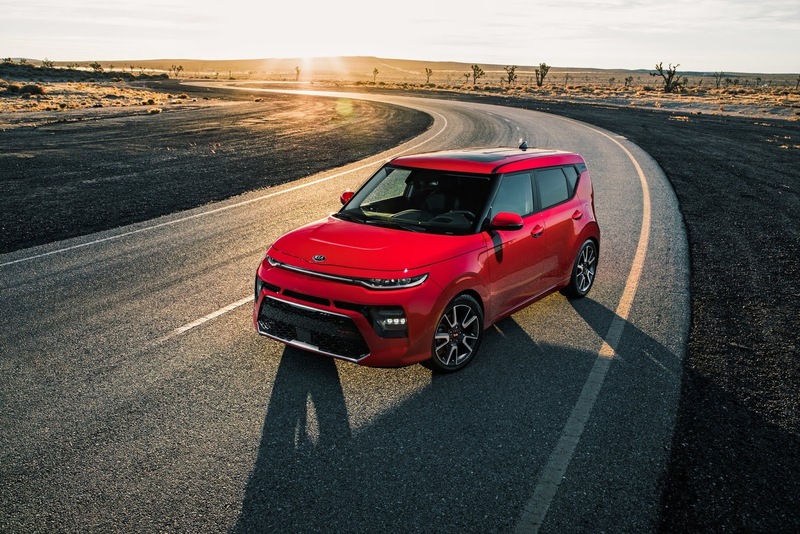 The 2020 Soul's stronger structure benefits from an increased use of Advanced High Strength Steel (AHSS), hot stamped components, and structural adhesive. With stronger bones, the 2020 Soul is expected to achieve the highest safety ratings from the Insurance Institute for Highway Safety (IIHS) and National Traffic Highway Safety Administration (NHTSA). Recognizing that one's car is an integral part of their social life, the 2020 Soul continues to surprise and delight with next-gen infotainment and technology. Soul enhances its fun-to-drive personality and versatility with different drivetrain combinations. From the all-new 2019 Forte, Kia's Intelligent Variable Transmission (IVT) is now available on the 2020 Soul for those who require efficiency with their zip. Designed and built in-house, the IVT is Kia's unique version of a continuously variable transmission that provides an engaging driving experience. With the Soul's all-new platform comes a more refined experience behind the wheel and on the road. Engineers designed suspension geometry to help quell noise, vibration and harshness while also improving handling and comfort in a variety of conditions. The 2020 Soul can be outfitted to convey one's unique sense of style through a variety of customizable options. Aside from the all-new Soul EV that debuts alongside its gasoline counterpart, the Soul offers even more flexibility according to different lifestyles.